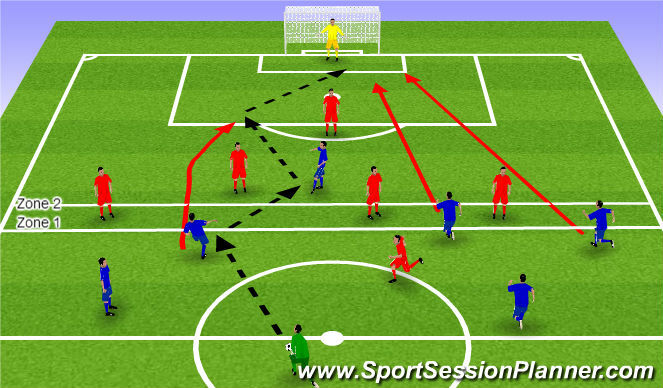 Striker and opposite wide player continue runs into goal area to finish attack if keeper pushes ball out. 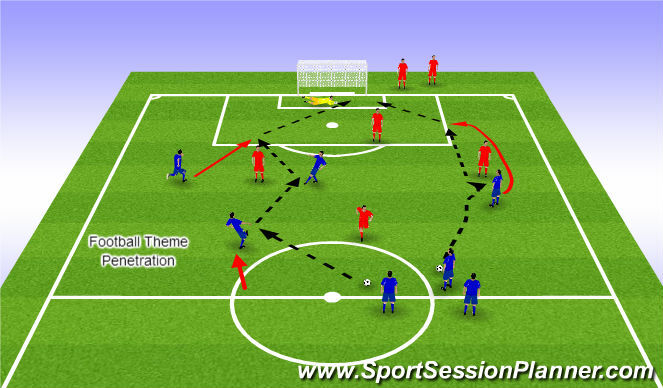 Pattern3 Option: Center midfielder continues as original run but this time can thread ball through for opposite team player to break the back line. 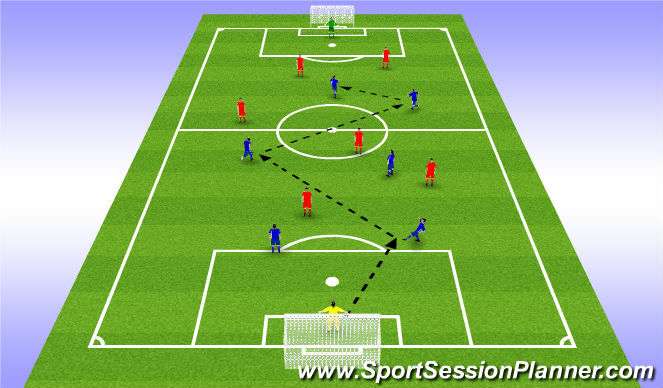 At start, 2 defenders from channel enter zone 1 to pressure attack must return to channel when ball played into zone 2 (defenders in channel rotate).